15. CORNELIUS5 LARCOM (Cornelius4, David3, Cornelius2, Mordecai1 Sr.) was born on 06 May 1754 in Beverly, Massachusetts. He died on 21 Nov 1775 in Beverly, Essex, Massachusetts. He married Joanna Lovett (daughter of Ebenezer Lovett Jr. and Deborah Cleaves) on 30 Nov 1773 in Beverly, Essex, Massachusetts. She was born on 01 May 1754 in Beverly , Massachusetts (Age: 0). 23. i. CORNELIUS6 LARCOM (son of Cornelius Larcom and Joanna Lovett) was born on 06 Dec 1775 in Beverly, Essex, Massachusetts. He died on 16 Sep 1846 in New York City, New York, New York, United States. He married Mehitable Marvel (daughter of Joseph Marble and Rebecca Foster) on 14 Sep 1797 in Beverly, Essex, Massachusetts. She was born before 11 May 1777 in Beverly, Essex, Massachusetts. 16. HANNAH WOODBURY (WOODBERRY) (Hannah4 Larcom, David3 Larcom, Cornelius2 Larcom, Mordecai1 Larcom Sr.,Jacob Woodberry, Ezra Woodberry) was born on 07 Mar 1771 in Beverly Farms, Manchester Essex, Massachusetts, USA. She died on 06 Jan 1825 in Beverly, Manchester, Essex, Massachusetts, USA. She married Abraham Trowt on 20 Oct 1789 in Beverly, Essex, Massachusetts. He was born in 1757 in Manchester, Essex, Massachusetts. He died on 06 Feb 1828 in Beverly, Essex, Massachusetts, United States. i. ANNA TROUT (daughter of Abraham Trowt and Hannah Woodbury (Woodberry)) was born on 14 Feb 1790 in Beverly, Essex, Massachusetts. She died on 31 Aug 1811 in Beverly, Essex, Massachusetts. ii. ELIZABETH TROUT (daughter of Abraham Trowt and Hannah Woodbury (Woodberry)) was born on 02 Apr 1792 in Beverly, Essex, Massachusetts. iii. ABRAHAM TROUT JR. (son of Abraham Trowt and Hannah Woodbury (Woodberry)) was born on 27 Apr 1795 in Beverly, Essex, Massachusetts, United States. He died on 12 Jun 1857 in Beverly, Essex, Massachusetts, United States. iv. MOLLY TROUT (daughter of Abraham Trowt and Hannah Woodbury (Woodberry)) was born on 27 May 1797 in Beverly, Essex, Massachusetts. She died on 10 Oct 1828 in Beverly, Essex, Massachusetts. v. HANNAH TROWT (daughter of Abraham Trowt and Hannah Woodbury (Woodberry)) was born on 27 May 1797.
vi. REBECCA TROUT (daughter of Abraham Trowt and Hannah Woodbury (Woodberry)) was born before 12 Sep 1802 in Beverly, Essex, Massachusetts. 17. JONATHAN5 LARCOM (Jonathan4, David3, Cornelius2, Mordecai1 Sr.) was born on 15 Sep 1768 in Beverly (Essex) MA. He married (1) ANNA OBER on 25 Dec 1798 in Beverly, Essex, Massachusetts. She died on 12 Aug 1828 in Beverly, Essex, MA, USA. He married (2) MARY CHAMBERLAIN on 03 Oct 1790. She was born in 1772. She died on 16 Mar 1798 in Beverly, Massachusetts. i. MARY ANN6 LARCOM (daughter of Jonathan Larcom and Anna Ober) was born on 06 May 1800 in Beverly, Massachusetts. She married George Perkins on 06 Jun 1819 in Beverly, Essex, Massachusetts. ii. LUCY LARCOM (daughter of Jonathan Larcom and Anna Ober) was born on 28 Jul 1803 in Beverly, Massachusetts. iii. JONATHAN LARCOM (son of Jonathan Larcom and Anna Ober) was born on 28 Sep 1805 in Beverly, Massachusetts. iv. HANNAH LARCOM (son of Jonathan Larcom and Anna Ober) was born on 17 Aug 1809 in Beverly, Massachusetts. v. JONATHAN LARCOM (son of Jonathan Larcom and Mary Chamberlain) was born in 1797. He died on 01 Feb 1798 in Beverly, Massachusetts. vi. LUCY LARCOM (daughter of Jonathan Larcom and Mary Chamberlain). vii. POLLY LARCOM (daughter of Jonathan Larcom and Mary Chamberlain). 18. DAVID5 LARCOM (Jonathan4, David3, Cornelius2, Mordecai1 Sr.) was born on 17 Sep 1774 in Beverly (Essex) MA. He died on 23 Aug 1840 in Beverly, Essex, Massachusetts (Age: 65). He married Elizabeth”Betsey” Haskell (daughter of William Haskell and Elizabeth Tuck) on 27 May 1802 in Beverly, Essex, Massachusetts. She was born on 16 May 1778 in Beverly, Essex, Massachusetts (Age: 0). She died on 16 Jan 1864 in Beverly, Essex, Massachusetts (Age: 85). His life exhibited in rare combination and in an uncommon degree all the excellencies of the husband, the father, the citizan and the Christian. This epitaph was written by Lucy Larcom, whose home here was on West Street. “Farther down the road, where the cousins were all grown-up men and women, Aunt Betsey’s cordial, old-fashioned hospitality detained us a day or two. We watched the milking, and fed the chickens, and fared gloriously. Aunt Betsey could not have done more to entertain us, had we been the President’s children. The striped grass is till growing in one corner of my garden–the very same roots that were there in my childhood, and up to a year ago, the old lilac bush that Uncle Ed Larcom picked blossoms from when he was a small boy, was there too. Aunt Betsey’s garden was a beautiful combination of use and loveliness. All along the stone wall grew red-blossomed barm and in the long beds were hyssop (she called it isop) and rue and marigolds and catnip and chamomile and sage and sweet marjoram and martinoes. Martinoes were funny things with a beautiful ill-smelling bloom which looked like an orchid, and when the blossoms dropped there succeeded an odd shaped fruit, with spines and a long tail, which was used for pickles. Then there were king cups, a glorified buttercup, and a lovely little blue flower called “Star of Bethlehem” and four o’clocks. All the different herbs were carefully gathered by Aunt Betsey, and tied in bundles and hung to the rafters of the old attic. Sometimes I fancy that I can smell them now ona damp day, and I like to recall the dear old lady in her tyer and cap, busy with ehr simples. I like to think of her as my tutelar divinity for I came to love her dearly, though I am sure that when I was first landed in her house, I was a big trial. i. ELISABETH6 LARCOM (daughter of David Larcom and Elizabeth”Betsey” Haskell) was born on 06 Feb 1803 in Beverly,,MA,USA. She died on 10 Feb 1873. She married JOHN OBER. He was born in 1800. 24. ii. ABIGAIL LARCOM (daughter of David Larcom and Elizabeth”Betsey” Haskell) was born on 03 May 1806 in Beverly, Essex, Massachusetts (Age: 0). She died on 18 Oct 1888 in Beverly, Essex, Massachusetts, USA (Age: 82). She married (1) ISAAC PRINCE on 09 Jan 1826 in Beverly, Essex, Massachusetts. He was born on 24 May 1801 in Beverly, Essex, MA, USA. He died on 30 May 1874 in Beverly, Essex, MA. iii. JONATHAN LARCOM (son of David Larcom and Elizabeth”Betsey” Haskell) was born on 08 Jun 1806 in Beverly, Essex, Massachusetts. 25. iv. DAVID LARCOM (son of David Larcom and Elizabeth”Betsey” Haskell) was born on 09 Aug 1808 in Beverly. He died on 17 Feb 1883 in Beverly, Massachusetts, USA (Age: 75). He married Mary L (Molly) Ober (daughter of Andrew Larcom and Molly Standley) in Beverly, Massachusetts. She was born in 1809 in Beverly, Essex, Massachusetts, United States. She died on 17 Aug 1875 in Beverly, Massachusetts, USA (Age: 66). 26. v. FRANCIS LARCOM (son of David Larcom and Elizabeth”Betsey” Haskell) was born on 10 Sep 1810 in Beverly,,MA,USA. He died on 01 Jul 1883 in Beverly, Massachusetts, USA (Age: 72). He married (1) ELIZA WOODBERRY on 29 Jan 1835 in Beverly (Essex) MA. She was born on 15 Apr 1811 in Beverly (Essex) MA. She died on 30 Apr 1850 in Beverly (Essex) MA. He married (2) ANN M LARCOM on 26 May 1851 in Beverly, Massachusetts, USA. She was born about 1827 in Massachusetts. She died on 28 Sep 1917 in Manchester, Massachusetts. vi. FRANCIS LARCOM (son of David Larcom and Elizabeth”Betsey” Haskell) was born about 1811 in Massachusetts. vii. JOSEPH LARCOM (son of David Larcom and Elizabeth”Betsey” Haskell) was born on 09 Aug 1812 in Beverly, Essex, Massachusetts (Age: 0). 27. viii. GEORGE TITTLE LARCOM (son of David Larcom and Elizabeth”Betsey” Haskell) was born on 02 Jan 1815 in Beverly, Essex, Massachusetts. He died in 1905 in Beverly Farms,,MA,USA (Age: 90). He married (1) LOUISA MARSHALL on 28 Jan 1841 in Beverly, Essex, Massachusetts. She was born in 1821 in Beverly, Essex, Massachusetts. She died in 1899. He married an unknown spouse in 1904 in Beverly, Massachusetts, USA. ix. PHEBE PRINCE LARCOM (daughter of David Larcom and Elizabeth”Betsey” Haskell) was born on 06 Nov 1817 in Beverly, Essex, Massachusetts. She married OBER JOSEPH. 19. BENJAMIN5 LARCOM (Jonathan4, David3, Cornelius2, Mordecai1 Sr.) was born on 20 Aug 1776 in Beverly, Essex, Massachusetts, United States (Age: 0). He died on 10 Jan 1830 in Beverly, Essex, Massachusetts (Age: 55). He married (1) CHARLOTTE IVES (daughter of Samuel Ives) on 10 Jan 1804 in Beverly, Essex, Massachusetts. She was born on 17 Feb 1784 in Lynn, Essex, Massachusetts, United States. She died on 21 Mar 1810 in Beverly, Massachusetts (Age: 26). He married (2) LOIS BARRETT (daughter of Thomas Barrett) on 21 Nov 1811 in Beverly, Essex, Massachusetts. She was born in 1795. She died on 11 Mar 1868. “A grave thoughtful face was his [Benjamin Larcom] lifted up so grandly amid that blooming semicircle of boys and girls, all gathered silently in the glow of the ruddy firelight! The great family Bible had the look upon its leathern covers of a book that had never been new, and we honored it the more for its apparent age. Its companion was the Westminster Assembly’s and Shorter Chatechism, out of which my father asked us questions on Sabbath afternoons, when the tea-table had been cleared. He ended the exercise with a prayer, standing up with his face turned toward the wall. My most vivid recollection of his living face is as I saw it reflected in a mirror while he stood thus praying. His closed eyes, the paleness and seriousness of his countenance, awed me. I never forgot that look. I saw it but once again, when, a child of six or seven years, I was lifted to a footstool beside his coffin to gaze upon his face for the last time. It wore the same expression that it did in the prayer; paler, but no longer care-worn; so peaceful, so noble! They left me standing there a long time, and I could not take my eyes away. I had never thought my father’s face a beautiful one until then, but I believe it must have been so, always. My mother had that sort of sunshiny nature which easily shifts into shadow, like the atmosphere of an April day. Cheerfulness held sway with her, except occasionally, when her domestic cares grew too overwhelming; but her spirits rebounded quickly from discouragement. i. CHARLOTTE6 LARCOM (daughter of Benjamin Larcom and Charlotte Ives) was born on 28 Sep 1806 in Beverly,,MA,USA (Age: 0). She died in 1835. She married Robert W Welch on 30 Sep 1827 in Beverly, Essex, Massachusetts. He was born on 10 May 1804 in Newburyport, Essex, Massachusetts, USA. 28. ii. ADELINE LARCOM (daughter of Benjamin Larcom and Charlotte Ives) was born on 05 Mar 1810 in Beverly, Massachusetts (Age: 0). She died on 06 Feb 1892 in Beverly, Essex, Massachusetts, USA (Age: 81). She married George Meacom on 06 Mar 1831 in Beverly, Essex, Massachusetts. He was born on 18 Dec 1804 in Beverly, Essex, Massachusetts, USA. He died on 21 Jul 1862 in Beverly, Massachusetts. 29. iii. BENJAMIN LARCOM (son of Benjamin Larcom and Lois Barrett) was born on 30 Jan 1814 in Beverly,,MA,USA (Age: 0). He died on 04 Feb 1903 in Beverly, Massachusetts, USA (Age: 89). He married Abigail Hanson on 28 Apr 1839 in Beverly, Essex, Massachusetts. iv. LOUISA BARRETT LARCOM (daughter of Benjamin Larcom and Lois Barrett) was born on 14 Oct 1815 in Beverly,,MA,USA (Age: 0). She died on 09 Aug 1863 in Beverly, Massachusetts, USA (Age: 47). She married Edward Harrington on 01 Oct 1837 in Beverly, Essex, Massachusetts. He died on 20 Aug 1844 in At Sea off the coast of Africa. 30. v. EMILINE AUGUSTA LARCOM (daughter of Benjamin Larcom and Lois Barrett) was born on 22 Apr 1817 in Beverly,,MA,USA (Age: 0). She died in 1892. She married George Spaulding on 05 Apr 1843 in Lowell, Middlesex, Massachusetts. He was born on 15 May 1817 in Maine. 31. vi. JONATHAN LARCOM (son of Benjamin Larcom and Lois Barrett) was born on 03 Aug 1818 in Beverly,,MA,USA (Age: 0). He died on 24 Oct 1895 in Chelmsford Center, Middlesex, Massachusetts (Age: 77). He married Harriet Obear on 30 Mar 1841 in Chemsford, Middlesex, Massachusetts. She was born on 13 Sep 1816 in Chelmsford, Massachusetts (Age: 0). 32. vii. ABIGAIL OBER LARCOM (daughter of Benjamin Larcom and Lois Barrett) was born on 22 May 1820 in Beverly,,MA,USA. She died on 11 Dec 1902 in Newburyport, Essex County, Massachusetts (Age: 82). She married Luther Haskell (son of William Haskell* and Betsy Standley*) on 20 Jun 1844 in Beverly, Essex County, Massachusetts. He was born on 30 Jan 1819 in Beverly, Essex County, Massachusetts. He died on 13 May 1907 in Beverly, Massachusetts, USA. 33. viii. 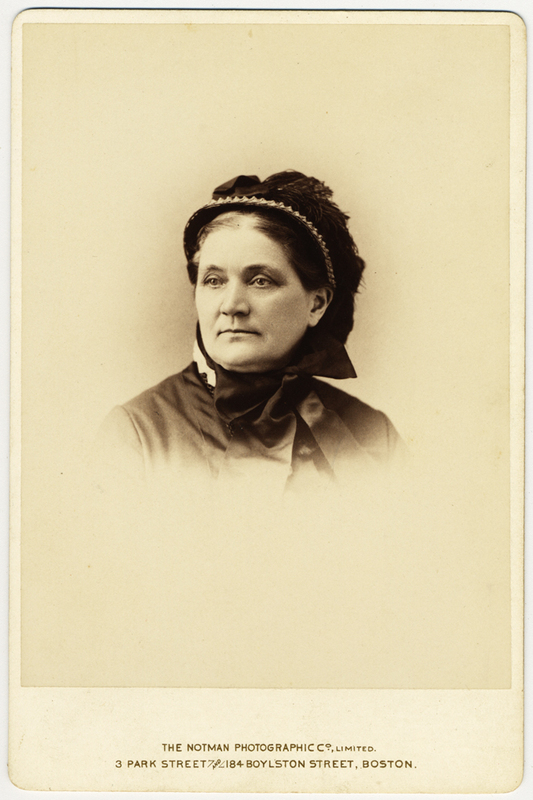 LYDIA SMITH LARCOM (daughter of Benjamin Larcom and Lois Barrett) was born on 05 Mar 1822 in Beverly,,MA,USA (Age: 0). She died on 17 Apr 1893 in Boston, MA (Age: 72). She married Isaac Wallis Baker on 19 Apr 1844 in Beverly, Essex, Massachusetts. He was born on 09 Apr 1818 in Beverly, Essex Co., MA. He died in Sep 1862.
ix. LUCY LARCOM (daughter of Benjamin Larcom and Lois Barrett) was born on 05 Mar 1824 in Beverly,,MA,USA. She died on 17 Apr 1893 in Boston,,MA,USA (Age: 69). Famous poet and author. Read more about Lucy, here. 34. x. OCTAVIA LARCOM (daughter of Benjamin Larcom and Lois Barrett) was born on 08 Jun 1827 in Beverly,,MA,USA (Age: 0). She died on 16 Apr 1913 in Chelmsford, Middlesex, Massachusetts, USA (Age: 85). She married Edwin King Parkhurst (son of Josiah King Parkhurst and Ruth Spalding) on 02 Sep 1853 in Beverly, Massachusetts, USA. He was born on 28 Feb 1828 in Chelmsford, Middlesex, Massachusettes (Age: 0). He died on 12 Sep 1898 in Chelmsford MA (Age: 70). 20. ANDREW5 LARCOM (Jonathan4, David3, Cornelius2, Mordecai1 Sr.) was born on 19 Jul 1778 in Beverly (Essex) MA. He died on 19 Jun 1853 in Beverly Farms,,MA,USA (Beverly Farms Cemetery, Age: 74). He married (1) MOLLY STANDLEY (daughter of Jonathan Standley and Lydia Preston) on 24 Jul 1803 in Beverly (Essex) MA. She was born on 13 Oct 1783 in Beverly (Essex) MA (Age: 0). She died on 12 Dec 1855 in Nantucket, Massachusetts, USA (Age: 72). He married an unknown spouse in Beverly, Massachusetts. 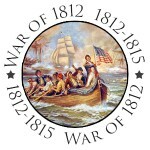 Andrew enlisted in War of 1812, 3rd Reg’t (Dodge’s) Massachusetts Militia. Rank–Induction: Private, Rank–Discharge : Private. i. TWIN BOYS6 LARCOM (son of Andrew Larcom and Molly Standley) was born on 13 Aug 1804 in Beverly, Essex, Massachusetts, United States (Age: 0). He died on 13 Aug 1804 in Beverly, Essex, Massachusetts, United States. 35. ii. BETSEY LARCOM (daughter of Andrew Larcom and Molly Standley) was born on 27 Sep 1805 in Beverly, Essex, Massachusetts, United States (Age: 0). She died on 08 Aug 1891 in Beverly, Massachusetts, USA (Age: 85). She married Israel Lefavour on 25 Jan 1827 in Beverly, Essex, Mass, Usa. He was born on 04 Nov 1801 in Beverly, Essex, Mass, Usa. He died on 27 Jan 1875 in Beverly, Essex, Mass, Usa. 36. iii. ANDREW LARCOM (son of Andrew Larcom and Molly Standley) was born on 12 May 1807 in Beverly (Essex) MA. He died on 11 Apr 1888 in Beverly (Essex) MA (Age: 80). He married Abigail Lefavour on 04 Feb 1834 in Beverly, Essex, Massachusetts. She was born on 19 Sep 1809 in Massachusetts. She died on 21 May 1897 in Beverly Essex Mass. 37. iv. MARY L (MOLLY) OBER (daughter of Andrew Larcom and Molly Standley) was born in 1809 in Beverly, Essex, Massachusetts, United States. She died on 17 Aug 1875 in Beverly, Massachusetts, USA (Age: 66). She married (1) DAVID LARCOM (son of David Larcom and Elizabeth”Betsey” Haskell) in Beverly, Massachusetts. He was born on 09 Aug 1808 in Beverly. He died on 17 Feb 1883 in Beverly, Massachusetts, USA (Age: 75). She married (2) BENJAMIN OBER (son of Benjamin Obear and Sarah Gilham) on 05 Oct 1830. He was born on 12 Aug 1806 in Beverly, Massachusetts (Age: 0). 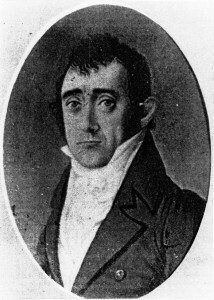 He died in 1836 (Age: 30). 38. v. ASA LARCOM (son of Andrew Larcom and Molly Standley) was born on 15 Mar 1812 in Beverly, Essex, Massachusetts, United States. He died on 22 Oct 1882 in Beverly, Massachusetts (Age: 70). He married Abigail Hooper on 19 Dec 1834. She was born on 16 Oct 1816 in Massachusetts. She died on 12 Nov 1890. 39. vi. JOHN LARCOM (son of Andrew Larcom and Molly Standley) was born on 14 Oct 1814 in Beverly, Essex, Massachusetts, United States (Age: 0). He died on 03 Dec 1900 in Beverly, Massachusetts, USA (Age: 86). He married Lucy Marshall on 10 Jan 1839. She was born on 26 Nov 1818 in Massachusetts. She died on 31 Jan 1896.
vii. HENRY LARCOM (son of Andrew Larcom and Molly Standley) was born on 22 Sep 1816 in Beverly, Essex, Massachusetts, United States (Age: 0). He died in Sep 1837. 40. viii. EDMUND LARCOM (son of Andrew Larcom and Molly Standley) was born on 27 Dec 1818 in Beverly, Essex, Massachusetts, United States (Age: 0). He died on 21 Aug 1901 in Beverly, Massachusetts, USA (Age: 82). He married Louisa Woodberry on 06 Dec 1844 in Beverly, Essex, Massachusetts. She was born on 01 Nov 1820 in Beverly, Essex, MA, USA. She died on 21 Jul 1887 in Beverly, Essex, MA, USA. ix. SALLY STANDLEY LARCOM (daughter of Andrew Larcom and Molly Standley) was born on 21 Feb 1821 in Beverly, Essex, Massachusetts, United States (Age: 0). She died in 1851 in Beverly, Essex, Massachusetts, United States (Age: 42). She married Peter Obear on 28 Dec 1847 in Beverly, Essex, Massachusetts. x. MARTHA JANE LARCOM (daughter of Andrew Larcom and Molly Standley) was born on 18 Aug 1823 in Beverly, Essex, Massachusetts, United States (Age: 0). She died on 05 Mar 1910 in Beverly, Massachusetts, USA (Age: 86). She married Josiah A Haskell on 04 Dec 1845 in Beverly, Essex, Massachusetts. 41. xi. RUFUS LARCOM (son of Andrew Larcom and Molly Standley) was born on 02 Oct 1825 in Beverly, Essex, Massachusetts, United States (Age: 0). He died on 29 Nov 1912 (Age: 87). He married (1) LYDIA L REA on 27 Dec 1849 in Beverly, Massachusetts, USA. She was born in Apr 1829 in Massachusetts. xii. ABIGAIL K LARCOM (daughter of Andrew Larcom and Molly Standley) was born in Jul 1827 in Beverly, Essex, Massachusetts, United States. She died in Oct 1828 in Beverly, Essex, Massachusetts, United States (Age: 1). xiii. JOSEPH LARCOM (son of Andrew Larcom and Molly Standley) was born on 10 Aug 1830 in Beverly, Essex, Massachusetts, United States (Age: 0). He died in Jan 1883.
xiv. EDWARD LARCOM (son of Andrew Larcom and Molly Standley). 21. JOANNA5 LARCOM (Henry4, David3, Cornelius2, Mordecai1 Sr.) was born on 13 Apr 1775 in Beverly, Essex, Massachusetts, United States (Age: 0). She died in 1809 in Beverly, Massachusetts, USA (Age: 34). She married (1) THOMAS PRESTON on 10 Dec 1793 in Beverly, Essex, Massachusetts. He was born in 1770. He died on 02 Apr 1802.
i. MARY LARCOM OBER (child of Benjamin Ober and Mary L (Molly) Ober) was born on 19 Oct 1835 in Beverly, Massachusetts (Age: 0). Mary Larcom died on 11 Jun 1920 in Beverly, MA (Age: 84). Mary Larcom married James Beatty Dow (son of Alexander Daw) on 03 Apr 1889 in Beverly, Massachusetts, USA. He was born on 05 Apr 1850 in Glenbucket, Scotland. He died on 16 Sep 1920 in 705 Hale Street, Beverly, MA (Age: 70). 22. HENRY5 LARCOM 2ND (Henry4, David3, Cornelius2, Mordecai1 Sr.) was born on 14 Aug 1776 in Beverly, Essex, Massachusetts, United States. He died on 24 Feb 1862 in Beverly, Essex, Massachusetts, United States (Age: 85). He married FRANCES ELLINGWOOD. She was born on 27 Apr 1780 in Beverly, Essex, Massachusetts, United States. She died on 21 Dec 1847 in Beverly, Essex, Massachusetts, United States. 42. i. FRANCES ELLINGWOOD FANNIE6 LARCOM (daughter of Henry Larcom 2nd and Frances Ellingwood) was born on 14 Jun 1807 in Beverly, Essex, Massachusetts, United States. She died on 26 Jun 1883 in Beverly, Essex, Massachusetts, United States (Age: 76). She married Joseph Hale Abbott (son of Ezra Abbott and Rebekah Hale) on 13 May 1830 in Beverly, Essex, Massachusetts, United States. He was born on 25 Sep 1802 in Wilton, Hillsborough, New Hampshire, United States. He died on 07 Apr 1873 in Wilton, Hillsborough, New Hampshire, United States (Age: 80). 23. CORNELIUS6 LARCOM (Cornelius5, Cornelius4, David3, Cornelius2, Mordecai1 Sr.) was born on 06 Dec 1775 in Beverly, Essex, Massachusetts. He died on 16 Sep 1846 in New York City, New York, New York, United States. He married Mehitable Marvel (daughter of Joseph Marble and Rebecca Foster) on 14 Sep 1797 in Beverly, Essex, Massachusetts. She was born before 11 May 1777 in Beverly, Essex, Massachusetts. i. MEHITABLE7 LARCOM (daughter of Cornelius Larcom and Mehitable Marvel) was born before 03 Aug 1800 in Beverly, Essex, Massachusetts. 43. ii. CORNELIUS LARCOM JR. (son of Cornelius Larcom and Mehitable Marvel) was born on 10 Apr 1801 in Beverly. He died on 25 Jun 1852 in Beverly, Massachusetts. He married Nancy Standley on 04 Aug 1825 in Beverly, Essex, Massachusetts. She was born on 03 Sep 1806 in Beverly, Essex, Massachusetts, USA (Age: 0). She died on 28 Dec 1866 in Beverly, Massachusetts, USA (Age: 62). iii. HENRY LARCOM (son of Cornelius Larcom and Mehitable Marvel) was born on 25 Nov 1804 in Beverly, Essex, Massachusetts. 24. ABIGAIL6 LARCOM (David5, Jonathan4, David3, Cornelius2, Mordecai1 Sr.) was born on 03 May 1806 in Beverly, Essex, Massachusetts (Age: 0). She died on 18 Oct 1888 in Beverly, Essex, Massachusetts, USA (Age: 82). She married (1) ISAAC PRINCE on 09 Jan 1826 in Beverly, Essex, Massachusetts. He was born on 24 May 1801 in Beverly, Essex, MA, USA. He died on 30 May 1874 in Beverly, Essex, MA. i. CHARLES H SYMONDS was born about 1835 in Massachusetts. i. ABIGAIL LARCOM PRINCE (daughter of Isaac Prince and Abigail Larcom) was born on 07 Nov 1827 in Beverly, Essex, MA, USA. She died on 17 Oct 1863 in Beverly, Essex, MA, USA. ii. CAROLINE PRINCE (daughter of Isaac Prince and Abigail Larcom) was born on 28 Oct 1829 in Beverly, Essex, MA, USA. She died on 18 Sep 1861 in Beverly, Essex, MA, USA. iii. ELIZABETH HASKELL PRINCE (daughter of Isaac Prince and Abigail Larcom) was born about 1832 in Beverly, Essex, Massachusetts, USA. iv. JOANNA CHAPMAN PRINCE (daughter of Isaac Prince and Abigail Larcom) was born about 1838 in Beverly, Essex, Massachusetts, USA. v. REBECCA FOSTER PRINCE (daughter of Isaac Prince and Abigail Larcom) was born about 1838 in Beverly, Essex, Massachusetts, USA. vi. AUGUSTA L PRINCE (daughter of Isaac Prince and Abigail Larcom) was born on 28 Feb 1844 in Beverly, Essex, Massachusetts, USA. vii. ISAAC FRANCIS PRINCE (son of Isaac Prince and Abigail Larcom) was born on 28 Jun 1846 in Beverly, Essex, Massachusetts, USA. He died on 25 Oct 1860. 25. DAVID6 LARCOM (David5, Jonathan4, David3, Cornelius2, Mordecai1 Sr.) was born on 09 Aug 1808 in Beverly. He died on 17 Feb 1883 in Beverly, Massachusetts, USA (Age: 75). He married Mary L (Molly) Ober (daughter of Andrew Larcom and Molly Standley) in Beverly, Massachusetts. She was born in 1809 in Beverly, Essex, Massachusetts, United States. She died on 17 Aug 1875 in Beverly, Massachusetts, USA (Age: 66). What a character for instance, was Uncle David Larcom! Among the old Puritans who were his ancestors, and among whom he was raised, what a constant surprise he must have been! Certainly no hero of a dime novel could have done more startling and audacious things. He ran off to sea in his youth and stayed away from the village for three years. During that time, he had seen and experienced enough to satisfy Tom Sawyer; he had messed with Indian Lascars and acquired a taste for curry and red pepper which he never lost. And with the love for stimulating stories, and could draw the very longest kind of an innocent bow, that carried far and never hurt anybody. Who could forget his yarns of the sea serpent and his life on the old English Brig? “Has he got to the Old English Brig?” his waggish son would inquire, as he listened from an adjoining room. Uncle David told this yarn when he gave away the beautiful mirror. Nobody had ever heard of this connection with the Schooner Hesperus. My own impression was that the mirror was brought to the old house, which I now own, by Aunt Betsey Larcom, the great-grandmother of Elsie Doan. Dear old Uncle David! Sometimes his language was not choice, but how big his heart was! After he uncoiled his sea legs and settled down to teaming, mildly flavored with farming was there ever a more generous or kindly neighbor? People often cheated him, in fact, he almost seemed to like being cheated. was one of his favorites. His kindly handsome face, his enormous size, his laugh, which was ten laughs in one, are among the dear remembrances of my childhood. In the house on Mingo Beach Hill our May Larcom Ober was born in 1835 and here her father died in the same year. There was an older sister Abigail, who died when she was a young woman. After a while, the widowretuned to her father’s home; in 1840 she was married to her cousin David Larcom the younger, and they lived in the Larcom House at the Farms. As his father, the first “Uncle David” died in the same year, his widow “Aunt Betsey” moved upstairs. David and his wife with her childrem Abby and Mary lived below; four children were born to them: David, Lydia, Joseph and Theodore. i. DAVID7 LARCOM (son of David Larcom and Mary L (Molly) Ober) was born on 05 Jul 1841 in Beverly,,MA,USA. He died on 06 Aug 1885 in Beverly, Massachusetts. He married Eva Maria Haskell on 23 Mar 1876 in Beverly, Massachusetts, USA. She was born about 1854 in Beverly. Servant: Ella Foster. Occupation: Mariner. ii. LYDIA S LARCOM (daughter of David Larcom and Mary L (Molly) Ober) was born on 08 Oct 1842 in Beverly,,MA,USA (Age: 0). 44. iii. JOSEPH HENRY LARCOM (son of David Larcom and Mary L (Molly) Ober) was born on 25 May 1845 in Beverly, Essex, Massachusetts, USA (Age: 0). He died on 10 Oct 1899 in Beverly, Massachusetts, USA (Age: 54). He married Mary Augusta Morse (daughter of James Morse and Harriet Knapp) on 15 Jun 1869 in Beverly, Massachusetts, USA. She was born on 25 Nov 1846 in Massachusetts. She died on 25 Oct 1921 in Beverly, Massachusetts, USA. iv. THEODORE LARCOM (son of David Larcom and Mary L (Molly) Ober) was born on 09 Apr 1849 in Beverly,,MA,USA. He died on 07 Apr 1853 in Beverly, Massachusetts, USA. 26. FRANCIS6 LARCOM (David5, Jonathan4, David3, Cornelius2, Mordecai1 Sr.) was born on 10 Sep 1810 in Beverly,,MA,USA. He died on 01 Jul 1883 in Beverly, Massachusetts, USA (Age: 72). He married (1) ELIZA WOODBERRY on 29 Jan 1835 in Beverly (Essex) MA. She was born on 15 Apr 1811 in Beverly (Essex) MA. She died on 30 Apr 1850 in Beverly (Essex) MA. He married (2) ANN M LARCOM on 26 May 1851 in Beverly, Massachusetts, USA. She was born about 1827 in Massachusetts. She died on 28 Sep 1917 in Manchester, Massachusetts. i. ELIZA7 LARCOM (daughter of Francis Larcom and Eliza Woodberry) was born in 1837. She died on 15 Feb 1842.
ii. MILTON F LARCOM (son of Francis Larcom and Eliza Woodberry) was born on 21 Oct 1847 in Beverly, Essex, Massachusetts. He died on 04 Feb 1924. 45. iii. ELLA MARIA LARCOM (daughter of Francis Larcom and Ann M Larcom) was born on 22 Sep 1859 in Beverly, Essex, Massachusetts, USA. She married HORACE STANDLEY. He was born in Apr 1863 in Massachusetts. She married an unknown spouse on 15 Dec 1881 in Beverly, Massachusetts, USA. 27. GEORGE TITTLE6 LARCOM (David5, Jonathan4, David3, Cornelius2, Mordecai1 Sr.) was born on 02 Jan 1815 in Beverly, Essex, Massachusetts. He died in 1905 in Beverly Farms,,MA,USA (Age: 90). He married (1) LOUISA MARSHALL on 28 Jan 1841 in Beverly, Essex, Massachusetts. She was born in 1821 in Beverly, Essex, Massachusetts. She died in 1899. He married an unknown spouse in 1904 in Beverly, Massachusetts, USA. i. GEORGE WOODBURY7 LARCOM (son of George Tittle Larcom and Louisa Marshall) was born on 27 Jul 1843 in Beverly, Essex, Massachusetts. ii. LOUISA MARSHALL LARCOM (daughter of George Tittle Larcom and Louisa Marshall) was born on 02 Oct 1846 in Beverly, Essex, Massachusetts. iii. WILLIAM HASKELL LARCOM (son of George Tittle Larcom and Louisa Marshall) was born on 16 Jul 1849 in Beverly, Essex, Massachusetts. iv. MARSHALL T LARCOM (son of George Tittle Larcom and Louisa Marshall) was born about 1851 in Massachusetts. 28. ADELINE6 LARCOM (Benjamin5, Jonathan4, David3, Cornelius2, Mordecai1 Sr.) was born on 05 Mar 1810 in Beverly, Massachusetts (Age: 0). She died on 06 Feb 1892 in Beverly, Essex, Massachusetts, USA (Age: 81). She married George Meacom on 06 Mar 1831 in Beverly, Essex, Massachusetts. He was born on 18 Dec 1804 in Beverly, Essex, Massachusetts, USA. He died on 21 Jul 1862 in Beverly, Massachusetts. i. CHARLOTTE ANNA MEACOM (daughter of George Meacom and Adeline Larcom) was born on 19 May 1839 in Beverly, Massachusetts. She died in Nov 1880 in Beverly, Essex, Massachusetts. ii. GEORGE W MEACOM (son of George Meacom and Adeline Larcom) was born on 06 Jun 1839 in Beverly, Essex, Massachusetts, USA. He died on 28 Nov 1908 in Dorchester, Suffolk, Massachusetts, USA. 29. BENJAMIN6 LARCOM (Benjamin5, Jonathan4, David3, Cornelius2, Mordecai1 Sr.) was born on 30 Jan 1814 in Beverly,,MA,USA (Age: 0). He died on 04 Feb 1903 in Beverly, Massachusetts, USA (Age: 89). He married Abigail Hanson on 28 Apr 1839 in Beverly, Essex, Massachusetts. “My eldest brother had gone to sea with a relative who was master of a merchant vessel in the South American trade. His inclination led him that way; it seemed to open before him a prospect of profitable business, and my mother looked upon him as her future stay and support. One day she came in among us children looking strangely excited. I heard her tell someone afterwards that she had just been to hear Father Taylor preach, the sailors’ minister, whose coming to our town must have been a rare occurrence. His words had touched her personally, for he had spoken to mothers whose first-born had left them to venture upon strange seas and to seek unknown lands. He has given to the wanderer he described the name of her own absent son – ‘Benjamin.’ As she left the church she met a neighbor who informed her that the brig ‘Mexican’ had arrived at Salem, in trouble. It was the vessel in which my brother has sailed only a short time before, expecting to be absent for months. ‘Pirates’ was the only word we children caught, as she hastened away from the house, not knowing whether her son was alive or not. Fortunately, the news hardly reached the town before my brother himself did. She met him in the street, and brought him home with her, forgetting all her anxieties with her joy at his safety. i. MARY ABBIE7 LARCOM (daughter of Benjamin Larcom and Abigail Hanson) was born on 02 Apr 1840 in Massachusetts. ii. EMILINE AUGUSTA LARCOM (daughter of Benjamin Larcom and Abigail Hanson) was born on 29 Oct 1842 in Massachusetts. 46. iii. BENJAMIN LARCOM (son of Benjamin Larcom and Abigail Hanson) was born on 02 Feb 1847 in Massachusetts (Age: 0). He died on 30 Aug 1925 (Age: 78). He married (1) EFFIE LARCOM in 1873. She was born in Nov 1853 in Massachusetts. She died on 24 Oct 1896 in Salem, Massachusetts, USA (Age: 43). He married (2) SUSAN F LARCOM in 1873. She was born about 1854 in Massachusetts. 30. EMILINE AUGUSTA6 LARCOM (Benjamin5, Jonathan4, David3, Cornelius2, Mordecai1 Sr.) was born on 22 Apr 1817 in Beverly,,MA,USA (Age: 0). She died in 1892. She married George Spaulding on 05 Apr 1843 in Lowell, Middlesex, Massachusetts. He was born on 15 May 1817 in Maine. “Elves and gnomes and air-sprites and genii were no strangers to us, for my sister Emeline – she who heard me say my hymns, and taught me to write – was mistress of an almost limitless fund of imaginative lore. She was a very Scheherazade of story-tellers, so her younger sisters thought, who listened to her while twilight grew into moonlight, evening after evening, with fascinated wakefulness. Her choice was usually judicious; she omitted the ghosts and goblins that would have haunted our dreams; although I was now and then visited by a nightmare-consciousness of being a bewitched princess who must perform some impossible task, such as turning the whole roomful of straws into gold, one by one, or else lose my head. But she blended the humorous with the romantic with her selections, so that we usually dropped to sleep in good spirits, if not with a laugh. 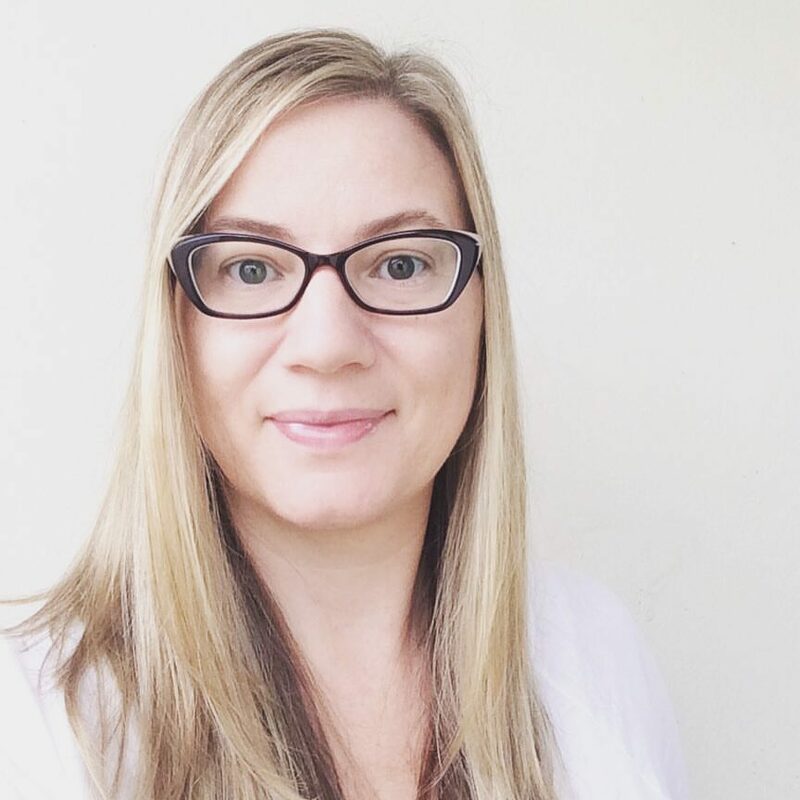 This sister, though only just entering her teens, was toughening herself by all sorts of unnecessary hardships for whatever might await her womanhood. She used frequently to sleep in the garret on a hard wooden sea-chest instead of in a bed. And she would get up before daylight and run over to the burying-ground, barefooted and white-robed (we lived for two or three years in another house than our own, where the oldest graveyard in town was only separated from us by our garden fence), ‘to see if there were any ghosts there,’ she told us. Returning noiselessly, – herself a smiling phantom, with long golden brown hair rippling over her shoulders, – she would drop a trophy over her little sisters’ pillow, in the shape of a big yellow apple that had dropped from ‘the Colonial’s’ ‘pumpkin sweeting’ tree into the graveyard, close to our fence. She was fond of giving me surprises, of watching my wonder at seeing anything beautiful or strange for the first time. One when I was little, she made me supremely happy by rousing me before four o’clock in the morning, dressing me hurriedly, and taking me out for a walk across the graveyard and through the dewey fields. The birds were singing, and the sun was just rising, and we were walking toward the east, hand in hand, when suddenly there appeared before us what looked to me like an immense blue wall, stretching right and left as far as we could see. ‘Oh, what is it the wall of?’ I cried. It was a revelation she had meant for me. ‘So you did not know it was the sea, little girl!’ she said. i. EMELINE AUGUSTA SPALDING (daughter of George Spaulding and Emiline Augusta Larcom) was born on 20 Feb 1844. She died on 18 Apr 1845.
ii. GEORGE FRANCIS SPALDING (son of George Spaulding and Emiline Augusta Larcom) was born on 07 Jul 1845. He died on 23 Oct 1846.
iii. CHARLOTTE ELIZABETH SPALDING (daughter of George Spaulding and Emiline Augusta Larcom) was born on 10 May 1847. She died on 31 May 1870 in Lowell, MA; buried at Beverly, MA. iv. GEORGE HERBERT SPALDING (son of George Spaulding and Emiline Augusta Larcom) was born on 27 Dec 1848. He died on 17 Sep 1849.
v. EDWARD HERBER SPALDING (son of George Spaulding and Emiline Augusta Larcom) was born on 16 Jan 1850. He died on 08 Aug 1851.
vi. THEODORE NORTON SPAULDING (son of George Spaulding and Emiline Augusta Larcom) was born on 20 Aug 1851 in Woodburn, IL; lived in Minneapolis, MN. vii. FRANCES SPALDING (daughter of George Spaulding and Emiline Augusta Larcom) was born on 08 Sep 1853. She died on 17 Oct 1854.
viii. LUCY LARCOM SPALDING (daughter of George Spaulding and Emiline Augusta Larcom) was born on 14 Jun 1855 in Wisconsin. ix. LOUIS SIMEON SPALDING (son of George Spaulding and Emiline Augusta Larcom) was born on 14 Jun 1855. He died in Nov 1856.
x. AGNES LOUISA SPALDING (daughter of George Spaulding and Emiline Augusta Larcom) was born on 05 Sep 1857 in Minnesota. She died in 1894.
xi. HENRIETTA SPALDING (daughter of George Spaulding and Emiline Augusta Larcom) was born on 02 Apr 1859.
xii. GRACE ADELINE SPAULDING (daughter of George Spaulding and Emiline Augusta Larcom) was born on 05 Apr 1861 in lived in St. Paul, MN. 31. JONATHAN6 LARCOM (Benjamin5, Jonathan4, David3, Cornelius2, Mordecai1 Sr.) was born on 03 Aug 1818 in Beverly,,MA,USA (Age: 0). He died on 24 Oct 1895 in Chelmsford Center, Middlesex, Massachusetts (Age: 77). He married Harriet Obear on 30 Mar 1841 in Chemsford, Middlesex, Massachusetts. She was born on 13 Sep 1816 in Chelmsford, Massachusetts (Age: 0). i. FRANKLIN HERSEY7 LARCOM (son of Jonathan Larcom and Harriet Obear) was born on 22 Nov 1847 in Chelmsford,,MA,USA. ii. HARRIET E LARCOM (son of Jonathan Larcom and Harriet Obear) was born in 1850 in ,,MA,. iii. HARRIET E LARCOM (daughter of Jonathan Larcom and Harriet Obear) was born about 1850 in Massachusetts. iv. FREDERICK A LARCOM (son of Jonathan Larcom and Harriet Obear) was born in 1854 in ,,MA,. 32. ABIGAIL OBER6 LARCOM (Benjamin5, Jonathan4, David3, Cornelius2, Mordecai1 Sr.) was born on 22 May 1820 in Beverly,,MA,USA. She died on 11 Dec 1902 in Newburyport, Essex County, Massachusetts (Age: 82). She married Luther Haskell (son of William Haskell* and Betsy Standley*) on 20 Jun 1844 in Beverly, Essex County, Massachusetts. He was born on 30 Jan 1819 in Beverly, Essex County, Massachusetts. He died on 13 May 1907 in Beverly, Massachusetts, USA. i. EDWARD HARRINGTON HASKELL (son of Luther Haskell and Abigail Ober Larcom) was born on 26 Mar 1845 in Rowley, Essex County, Massachusetts. He died on 15 Feb 1929 in Newburyport, Essex County, Massachusetts. ii. FRANK STANLEY HASKELL (son of Luther Haskell and Abigail Ober Larcom) was born on 25 Dec 1846 in Rowley, Essex County, Massachusetts. He died on 02 Oct 1922 in Newburyport, Essex County, Massachusetts. He married an unknown spouse on 21 May 1910 in Newburyport, Massachusetts, USA. iii. ABIGAIL L HASKELL (daughter of Luther Haskell and Abigail Ober Larcom) was born in 1851 in Rowley, Essex County, Massachusetts. She died on 25 Oct 1900 in Newburyport, Essex County, Massachusetts. iv. ABBIE L HASKELL (daughter of Luther Haskell and Abigail Ober Larcom) was born in Aug 1851 in Massachusetts. 33. LYDIA SMITH6 LARCOM (Benjamin5, Jonathan4, David3, Cornelius2, Mordecai1 Sr.) was born on 05 Mar 1822 in Beverly,,MA,USA (Age: 0). She died on 17 Apr 1893 in Boston, MA (Age: 72). She married Isaac Wallis Baker on 19 Apr 1844 in Beverly, Essex, Massachusetts. He was born on 09 Apr 1818 in Beverly, Essex Co., MA. He died in Sep 1862. 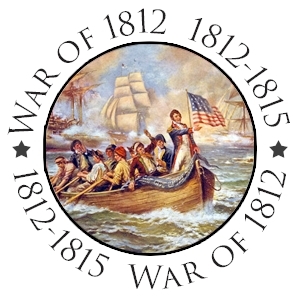 “In the summer of 1849 a group of young men from Beverly and nearby towns bought the bark San Francisco, formed a company, wrote a constitution and by-laws, and agreed that they would not make the mistake other groups were making: they would stay together and share the profits and the hardships of the venture. As master of the ship they had Captain Thomas Remmonds, with Andrew Larcom [Lucy’s cousin] as second mate. The captain of the company and keeper of it’s journal was Lydia’s husband, Isaac Baker.70 Luther Haskell, Abigail’s husband, was a passenger. The whole town turned out to see them off on the morning of 15 August 1849, as they sailed from Beverly harbor. The bark carried forty members, including a few passengers, sixty-three thousand feet of planed boards, ten-thousand bricks, eight house frames, twenty pigs, a dog, a kitten, and a crow. There was even a ship’s band, made up of drums, cymbals, accordion, tambourine, and bells. The ships log, kept by Joseph Carrico, records the events of the pleasant and fairly fast voyage; Isaac Baker’s journal is less formal and more detailed. He had written the company song, to be sung to the tune of “Oh, Susannah!” and he also wrote a Thanksgiving proclamation for the company and crew. When the ship was running smoothly, the band played and the young men sang or talked politics or planned the future they would make with their California gold. And then run in and anchor. Although there had been some difficulty rounding the Horn, the voyage was a good one and on 11 January 1850, one hundred forty nine days out of Beverly, they entered San Francisco harbor. Of course the news of the voyage came slowly. Passing ships brought information from the San Francisco to Beverly, and that news reached the prairie [to Lucy & Emeline] in letters from Lydia through the fall, winter, and early spring. Lucy and Emeline were naturally interested in the fate of a cousin, two brothers-in-law, and a host of childhood friends, and everybody was relieved to hear of their safe arrival in California. Isaac Baker’s first happy impression of San Francisco vanished when he went ashore: ‘It’s the most degraded, immoral, uncivilized and dirty city that can be imagined and the sooner we are away from here the better, were my afterthoughts five minutes after being landed on shore.’ Furthermore, the price of lumber in the city was so low that they could not break even, so they decided to sail up the Sacramento River to the gold fields. Although the distance was only a few miles, it took them thirty-three days to get their heavily loaded oceangoing sailing ship up the river. Passage was hampered by tides, shallows, shoals, marshes, channels, and wind currents. Determined to manage on their own and not to abandon the cargo, they refused to hire a pilot for four hundred dollars. They spent more time grounded or becalmed than they did afloat, attacked by frustration and mosquitoes, and depressed when on trips ashore to hunt they saw piles of machinery and cargo dumped by other sailing ships that had attempted the same journey. The sight of regular steamer traffic going up and down the river did not help. They reached Sacramento on 20 February, sold their cargo at a disappointingly small profit, and then, as usually happened with the companies, split up. (Baker summed it up in another set of verses.) With Luther Haskell and another friend, Baker set off to try his luck in the mines. From February to September they traveled around, making barely enough money to cover their expenses, although Baker’s journal keeps it’s tone of interest and good humor. The trip home was long, dismal, and dangerous; the ship, the Belgrade was nearly wrecked and it took five weeks to get as far as Acapulco. From there he took a steamer to Panama, crossed the Isthmus, and found another ship, arriving in New York on 8 November 1850. Andrew Larcom got back to Beverly about the same time, having made the long journey overland. Isaac W. Baker was both a seaman and businessman and came from a good Beverly family. Lucy Larcom was particularly delighted with Isaac’s good humor and warm, lively personality. 47. i. LOUIS HARRINGTON BAKER (son of Isaac Wallis Baker and Lydia Smith Larcom) was born on 24 Aug 1862 in Beverly, Essex Co., MA. He died before 1930. He married Evelyn M Baker in 1887. She was born in May 1863 in Connecticut. ii. LIZZIE BAKER (daughter of Isaac Wallis Baker and Lydia Smith Larcom). iii. ISAAC BAKER (son of Isaac Wallis Baker and Lydia Smith Larcom). 34. OCTAVIA6 LARCOM (Benjamin5, Jonathan4, David3, Cornelius2, Mordecai1 Sr.) was born on 08 Jun 1827 in Beverly,,MA,USA (Age: 0). She died on 16 Apr 1913 in Chelmsford, Middlesex, Massachusetts, USA (Age: 85). She married Edwin King Parkhurst (son of Josiah King Parkhurst and Ruth Spalding) on 02 Sep 1853 in Beverly, Massachusetts, USA. He was born on 28 Feb 1828 in Chelmsford, Middlesex, Massachusettes (Age: 0). He died on 12 Sep 1898 in Chelmsford MA (Age: 70). i. CHARLOTTE M PARKHURST (daughter of Edwin King Parkhurst and Octavia Larcom) was born about 1857 in Massachusetts. ii. CLARA LARCOM PARKHURST (daughter of Edwin King Parkhurst and Octavia Larcom) was born in Jul 1858 in Massachusetts. She died on 05 Sep 1933 in Chelmsford, Middleex, Massachusetts, USA. iii. EDWIN L PARKHURST (son of Edwin King Parkhurst and Octavia Larcom) was born about 1861 in Massachusetts. iv. HARRY L PARKHURST (son of Edwin King Parkhurst and Octavia Larcom) was born about 1865 in Massachusetts. v. HORTENSE PARKHURST (daughter of Edwin King Parkhurst and Octavia Larcom) was born about 1868 in Massachusetts. vi. EDGAR F PARKHURST (son of Edwin King Parkhurst and Octavia Larcom) was born about 1869 in Massachusetts. 35. BETSEY6 LARCOM (Andrew5, Jonathan4, David3, Cornelius2, Mordecai1 Sr.) was born on 27 Sep 1805 in Beverly, Essex, Massachusetts, United States (Age: 0). She died on 08 Aug 1891 in Beverly, Massachusetts, USA (Age: 85). She married Israel Lefavour on 25 Jan 1827 in Beverly, Essex, Mass, Usa. He was born on 04 Nov 1801 in Beverly, Essex, Mass, Usa. He died on 27 Jan 1875 in Beverly, Essex, Mass, Usa. i. ELISA F LEFAVOUR (daughter of Israel Lefavour and Betsey Larcom) was born in 1845 in Beverly, Essex, Mass, Usa. 36. ANDREW6 LARCOM (Andrew5, Jonathan4, David3, Cornelius2, Mordecai1 Sr.) was born on 12 May 1807 in Beverly (Essex) MA. He died on 11 Apr 1888 in Beverly (Essex) MA (Age: 80). He married Abigail Lefavour on 04 Feb 1834 in Beverly, Essex, Massachusetts. She was born on 19 Sep 1809 in Massachusetts. She died on 21 May 1897 in Beverly Essex Mass. i. EMILY7 LARCOM (daughter of Andrew Larcom and Abigail Lefavour) was born in 1840. 48. ii. WILLIAM H LARCOM (son of Andrew Larcom and Abigail Lefavour) was born on 27 Aug 1843 in Beverly Essex Mass. He died on 02 Jun 1919. He married MARTHA JANE DODGE. She was born on 07 Apr 1844. She died on 30 Sep 1892.
iii. ISABELLA LARCOM (daughter of Andrew Larcom and Abigail Lefavour) was born in 1845.
iv. LYDIA S LARCOM (daughter of Andrew Larcom and Abigail Lefavour) was born in 1848.
v. FRANCES L LARCOM (daughter of Andrew Larcom and Abigail Lefavour) was born on 16 Aug 1853 in Beverly,,MA,USA. She died on 24 Dec 1946. She married Roger E Dodge on 09 Jan 1846 in Lowell,,MA,USA. 37. MARY L (MOLLY)6 OBER (Andrew5 Larcom, Jonathan4 Larcom, David3 Larcom, Cornelius2 Larcom, Mordecai1 Larcom Sr.,Andrew5, Jonathan4 Larcom, David3 Larcom, Cornelius2 Larcom, Mordecai1 Larcom Sr.) was born in 1809 in Beverly, Essex, Massachusetts, United States. She died on 17 Aug 1875 in Beverly, Massachusetts, USA (Age: 66). She married (1) DAVID LARCOM (son of David Larcom and Elizabeth”Betsey” Haskell) in Beverly, Massachusetts. He was born on 09 Aug 1808 in Beverly. He died on 17 Feb 1883 in Beverly, Massachusetts, USA (Age: 75). She married (2) BENJAMIN OBER (son of Benjamin Obear and Sarah Gilham) on 05 Oct 1830. He was born on 12 Aug 1806 in Beverly, Massachusetts (Age: 0). He died in 1836 (Age: 30). When Benjamin Ober, who was first mate of an East Indiaman, married Mary Larcom they went to live in the house on the north side of Mingo Beach Hill. It was a smaller house then, and close to the road, with a lovely outlook over the sea. A page of Lucy Larcom’s gives so charming an account of “the Farms” it must be quoted here, as Mary Ober was fond of it. The old homestead was where Andrew and Mary Larcom lived while, “Uncle David” and “Aunt Betsey” lived in the house which we know as Mary Ober’s house in the middle of the village. ii. ABIGAIL OBER (daughter of Benjamin Ober and Mary L (Molly) Ober). 38. ASA6 LARCOM (Andrew5, Jonathan4, David3, Cornelius2, Mordecai1 Sr.) was born on 15 Mar 1812 in Beverly, Essex, Massachusetts, United States. He died on 22 Oct 1882 in Beverly, Massachusetts (Age: 70). He married Abigail Hooper on 19 Dec 1834. She was born on 16 Oct 1816 in Massachusetts. She died on 12 Nov 1890.
i. ABBY F7 LARCOM (daughter of Asa Larcom and Abigail Hooper) was born about 1846 in Massachusetts. ii. ADELINE M LARCOM (daughter of Asa Larcom and Abigail Hooper) was born on 28 Mar 1852 in Beverly, MA. 39. JOHN6 LARCOM (Andrew5, Jonathan4, David3, Cornelius2, Mordecai1 Sr.) was born on 14 Oct 1814 in Beverly, Essex, Massachusetts, United States (Age: 0). He died on 03 Dec 1900 in Beverly, Massachusetts, USA (Age: 86). He married Lucy Marshall on 10 Jan 1839. She was born on 26 Nov 1818 in Massachusetts. She died on 31 Jan 1896.
i. JOHN H7 LARCOM (son of John Larcom and Lucy Marshall) was born on 04 Apr 1840 in Beverly, Essex, Massachusetts, USA. He died on 29 Nov 1918.
ii. EMMA LARCOM (daughter of John Larcom and Lucy Marshall) was born about 1853 in Massachusetts. iii. ISACHA LARCOM (son of John Larcom and Lucy Marshall). iv. LUCY J LARCOM (daughter of John Larcom and Lucy Marshall). v. EMILY LARCOM (daughter of John Larcom and Lucy Marshall). 40. EDMUND6 LARCOM (Andrew5, Jonathan4, David3, Cornelius2, Mordecai1 Sr.) was born on 27 Dec 1818 in Beverly, Essex, Massachusetts, United States (Age: 0). He died on 21 Aug 1901 in Beverly, Massachusetts, USA (Age: 82). He married Louisa Woodberry on 06 Dec 1844 in Beverly, Essex, Massachusetts. She was born on 01 Nov 1820 in Beverly, Essex, MA, USA. She died on 21 Jul 1887 in Beverly, Essex, MA, USA. i. EDMUND H7 LARCOM (son of Edmund Larcom and Louisa Woodberry) was born on 26 Jun 1861 in Massachusetts. He died on 18 Nov 1901. 41. RUFUS6 LARCOM (Andrew5, Jonathan4, David3, Cornelius2, Mordecai1 Sr.) was born on 02 Oct 1825 in Beverly, Essex, Massachusetts, United States (Age: 0). He died on 29 Nov 1912 (Age: 87). He married (1) LYDIA L REA on 27 Dec 1849 in Beverly, Massachusetts, USA. She was born in Apr 1829 in Massachusetts. i. M ELLA LARCOM (daughter of Rufus Larcom) was born about 1863 in Massachusetts. ii. ALFRED H LARCOM (son of Rufus Larcom and Lydia L Rea) was born about 1861 in Massachusetts. 42. FRANCES ELLINGWOOD FANNIE6 LARCOM (Henry5 2nd, Henry4, David3, Cornelius2, Mordecai1 Sr.) was born on 14 Jun 1807 in Beverly, Essex, Massachusetts, United States. She died on 26 Jun 1883 in Beverly, Essex, Massachusetts, United States (Age: 76). She married Joseph Hale Abbott (son of Ezra Abbott and Rebekah Hale) on 13 May 1830 in Beverly, Essex, Massachusetts, United States. He was born on 25 Sep 1802 in Wilton, Hillsborough, New Hampshire, United States. He died on 07 Apr 1873 in Wilton, Hillsborough, New Hampshire, United States (Age: 80). 50. i. HENRY LARCOM ABBOTT (son of Joseph Hale Abbott and Frances Ellingwood Fannie Larcom) was born on 13 Aug 1831 in Beverly, Essex, Massachusetts, United States. He died on 01 Oct 1927 in Cambridge, Middlesex, Massachusetts, United States (Age: 96). He married (1) MARY SUSAN EVERETT (daughter of Reverend Stevens Everett and Emily Abbott) on 27 Apr 1856 in Cambridge, Middlesex, Massachusetts, United States. She was born on 15 Apr 1832 in Hallowell, Kennebec, Maine, United States. She died on 13 Mar 1871 in Willetts Point, New York, United States. ii. EDWIN HALE ABBOTT (son of Joseph Hale Abbott and Frances Ellingwood Fannie Larcom) was born on 26 Jan 1834 in Beverly, Essex, Massachusetts, United States. He died on 30 May 1927 in Wisconsin, United States. iii. FRANCIS ELLINGWOOD ABBOTT (son of Joseph Hale Abbott and Frances Ellingwood Fannie Larcom) was born on 06 Nov 1836 in Boston, Suffolk, Massachusetts, United States. He died on 23 Oct 1903 in Beverly, Massachusetts. iv. EMILY FRANCES ABBOTT (daughter of Joseph Hale Abbott and Frances Ellingwood Fannie Larcom) was born on 01 Apr 1839 in Boston, Suffolk, Massachusetts, United States. She died in 1899 in Cambridge, Middlesex, Massachusetts, United States. v. EDWARD STANLEY ABBOTT (son of Joseph Hale Abbott and Frances Ellingwood Fannie Larcom) was born on 22 Oct 1841 in Boston, Suffolk, Massachusetts, United States. He died on 08 Jul 1863 in Gettysburg, Adams, Pennsylvania, United States. vi. BABY BOY ABBOTT (son of Joseph Hale Abbott and Frances Ellingwood Fannie Larcom) was born on 03 Sep 1844 in Boston, Suffolk, Massachusetts, United States. He died on 04 Sep 1844 in Boston, Suffolk, Massachusetts, United States. 51. vii. WILLIAM FITZHALE ABBOTT (son of Joseph Hale Abbott and Frances Ellingwood Fannie Larcom) was born on 27 Apr 1853 in Boston, Suffolk, Massachusetts, United States. He died on 21 Apr 1922 in Beverly, Essex, Massachusetts, yrs 69 (Age: 68). He married Caroline Ward Sewall (daughter of Edmond Q Sewall and Louise Sewall) in 1884. She was born in Nov 1860 in Delaware. She died on 21 Apr 1939 in Worcester, Worcester, Massachusetts, USA. viii. HALE ABBOTT (son of Joseph Hale Abbott and Frances Ellingwood Fannie Larcom) was born in 1860 in Beverly, Essex, Massachusetts, USA. He died in 1860 in Beverly, Essex, Massachusetts, USA.